Parents are being warned that even everyday baby products can pose a risk to children when used incorrectly. A new study has reported that every 4 hours, a child is treated in an emergency department for an injury related to baby bottles, pacifiers and sippy cups in the US. Researchers in the Center for Biobehavioral Health and the Center for Injury Research and Policy at Nationwide Children’s found that most injuries were the result of falls while using the product, which suggests that children were walking or running with the product in their mouth at the time of the injury. Having children sit down while drinking from baby bottles could help reduce the risk of an accident. Both the American Academy of Pediatrics (AAP) and the American Academy of Pediatric Dentistry (AAPD) recommend that children be transitioned to regular, lidless cups at 12 months of age. The AAP also suggests that parents try to limit baby’s pacifier use after six months of age as use after that age may increase the risk of ear infections. From 1991 to 2010, an estimated 45,398 children younger than three years of age were treated in US emergency departments for injuries related to the use of these products. This equates to an average of 2,270 injuries per year. 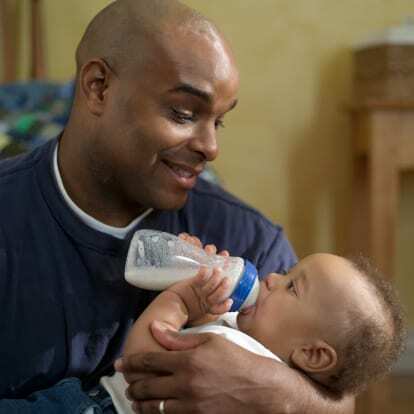 The study, which is being published in the June 2012 print issue of Pediatrics, found that baby bottles accounted for 66 percent of injuries, followed by pacifiers at 20 percent and sippy cups at 14 percent. The body areas most commonly injured were the mouth and the head, face or neck.